During a birding walk in the recently burnt out Peters Canyon Regional Park, i hiked to the highest point to have a look at the swifts and swallows. 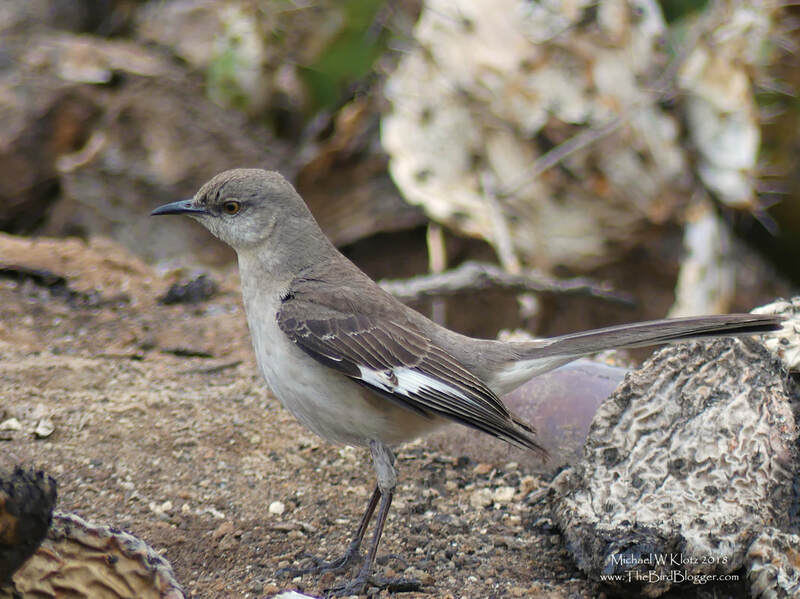 Sitting on the top of the highest branch was this brash mockingbird, who I felt owned the park. As soon as a came within 40 feet of him, he flew down to the burnt section of cacti and started flashing his white wing patches. I looked around for his rival or mate and found nothing. As I walked just a bit closer, he hopped down on the ground towards me with the display in full effect which is when I realized I was his target. Seeing that I wasn't going to take his perch he flew back to the highest branch on the hill and sat surveying his kingdom.